There is no doubt that technology has come a long way in the construction field. Whether referring to electrical sanders, reciprocating saws, power tools or portable drills, the fact of the matter is that users now have more choices than ever before. It is still important to point out that virtually all of these devices would be useless if the proper batteries and chargers were not present. Buildworld is pleased to be able to offer a wide variety of devices based on the needs of the customer. Let us look at how the correct models can be chosen before examining what you can expect to encounter when browsing through our online portal. 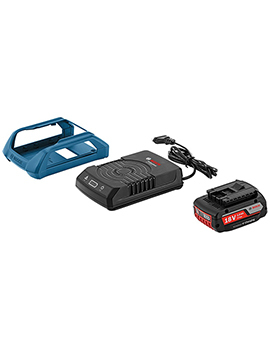 The first main variable is the voltage that the battery or the charger will supply. This is a critical factor because choosing the incorrect voltage could damage potentially sensitive equipment. Some common levels include 10.8, 14.4 and 18 volts. These are all clearly marked on the unit itself. The amperage is another critical concern. In this sense, we can define amperage as impacting the power output of the device in question. For instance, a portable drill that is rated for higher amperage will offer more torque to the user. These levels are also clearly marked on the side of the unit as well as on the batteries and chargers themselves. Finally, we should mention that rechargeable batteries tend to be very specific to a certain brand. For example, it is normally not possible to use a DeWalt lithium-ion battery in conjunction with a Makita master unit. However, this is not necessarily the case with separate charging units. They tend to be rather universal. We are well aware that each customer will have unique requirements regarding a specific source of power. So, we have attempted to provide a wide range of options. Fans of DeWalt tools will be pleased to know that we supply a number of batteries and branded charging units. 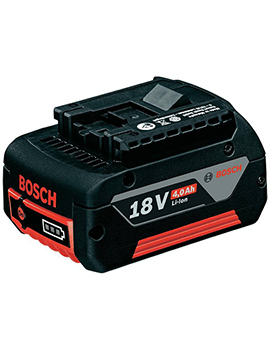 Those who own Bosch equipment can select batteries between two and four amps while a stand-alone charger will provide on-demand power when it is needed the most. Paslode AC/DC chargers, as well as a separate charger case, can also be purchased at the click of a button. It is even possible to encounter a DeWalt battery charger-radio combination for on-site entertainment. Please have a closer look at our selection in order make the appropriate choices.